Conscious Coconut is a social enterprise fueled by love. Our fair trade, USDA organic coconut oil is certified through Fair Trade USA ensuring safe working conditions and just compensation for farmers and factory workers. Once our tubes arrive in the States they are packaged by adults with learning disabilities through the Macdonald Training Center in Tampa. And for EVERY tube sold we give a child a meal through Feeding America. We are committed to raising awareness for childhood hunger in the United States. Since our launch, we have fed 95,000 kids here in the States. From hair care to skin care, sun care to soul care, our favorite oil has you covered. They say you go further when you travel light, and we want you to move like a gypsy. FAIR TRADE PRACTICES: Our fair trade coconut oil is certified through Fair Trade USA ensuring safe working conditions and just compensation for farmers and factory workers. DO MORE WITH LESS: Coconut Oil is a versatile tool for optimum health, wellness and beauty. In a (Coco) Nut Shell, CoCo is a great multi-tasker because of its medium-chain triglycerides and Vitamin E which have anti-bacterial, anti-fungal, and anti-inflammatory properties. GIVING BACK: Our tubes are packaged by adults with developmental disabilities at the Macdonald Training Center in Tampa. And for EVERY tube sold we give a child a meal through Feeding America. Since our launch at Wanderlust Chicago 2 years ago, we have fed 90,000 kids through our one-to-one platform! 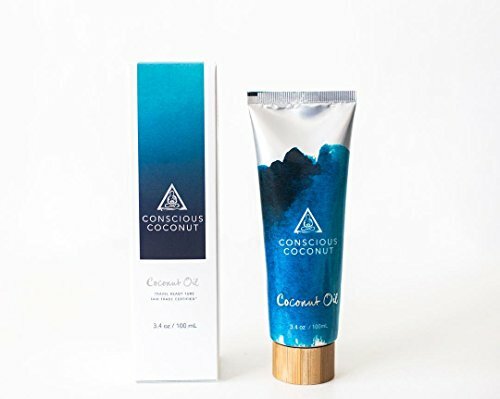 If you have any questions about this product by Conscious Coconut, contact us by completing and submitting the form below. If you are looking for a specif part number, please include it with your message.